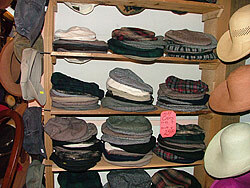 About the Store: We carry just about any hat you could want in our store. All hats are custom fit. We make them smaller or bigger to fit your head perfectly. We carry sizes Small to Double X (Triple X in some styles). 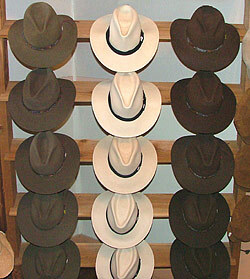 The Hat People has a wide variety of Western hats. 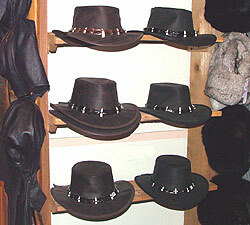 They have traditional western hats, wool blend, and fur felt. 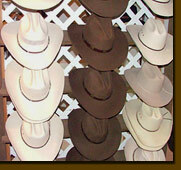 They have hip western hats and down to earth cowboy hats. 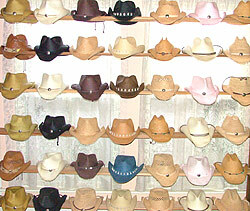 The even have a wide selection of western hats for kids! 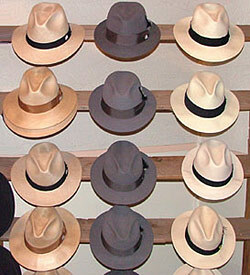 Wool, Crushable Fedoras. Remeniscent of the 1940s. Made in Panama. 100% Cotton Canvas, crushable hats, made in Australia. Completely waterproof with chin cord. These hats require no maintenance. Hats for Red Hatters! 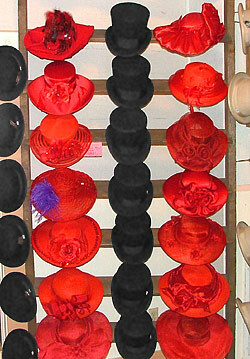 We have every imaginable fancy hat and Red Hat ladies' hats available. 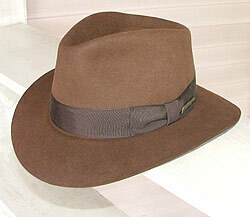 Authentic Indiana Jones hat - A Hat People Exclusive, made exactly like the hat in the movie. 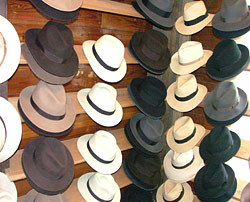 Made in Guatamala, these hats are shapable and unhurtable. 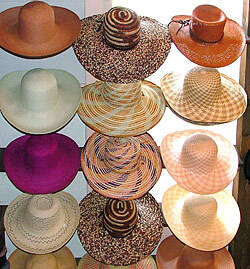 These very nice hats are hand made from Guatamalan Palm. These are a best seller at The Hat People. 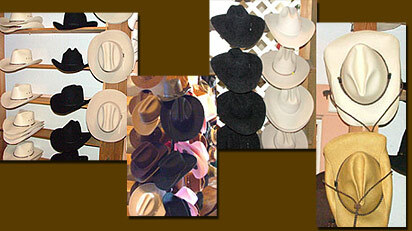 These country-western style hats are for both guys and girls. Made with rafia straw. Fur felt "Jacksons." Available in Sepia, Chocolate, and Black. These are beautiful, high quality dress hats. Top of the line fur felt dressy fedoras & dressy panamas. Style from the 1940s, and made from the same family that made them back then. Leather hat made with a real crocodile band and with real crocodile teeth. Newsboy / Ivy Caps - Never go out of style! 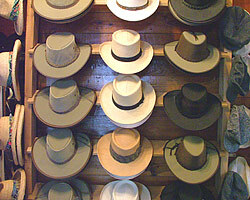 Ladies hats - Genuine hand woven straight from Panama. Crushable. has Crazy & Fun Hats! 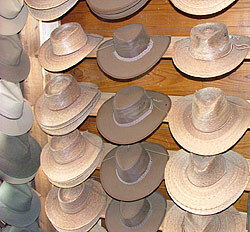 Stop by The Hat People soon to find the perfect hat for you!